All Play Store-compatible Chrome OS devices will now be able to run Microsoft's popular Office software. Chrome OS users will soon have access to Microsoft Office for Android granted they have a Play Store-compatible Chromebook. 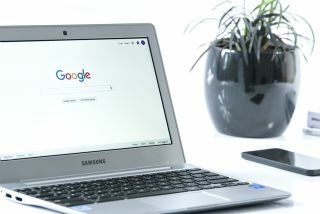 While Google's G-Suite offers a wide range of cloud-based productivity apps akin to Microsoft's Office, PowerPoint and Excel, long time users of those programs have had difficulties fully making the switch to their Google equivalents. Now though, they won't have to as Microsoft Office for Android is now available on Chromebooks with Play Store support. Last year when Android app support arrived on the Acer Chromebook R11 and Asus Chromebook Flip in the form of beta access to the Google Play Store, it was widely believed that all Play Store-supported Chromebooks would also be able to run Android apps. Unfortunately this was not the case and only a few models received Office Suite. Now though, any Chromebook or other Chrome OS device with Play Store-support will be able to download Microsoft Office for Android which could help more businesses get behind Google's inexpensive full laptop alternatives. The addition of the popular software suite will also appeal to students who can now use either G-Suite or Microsoft Office to finish their assignments.